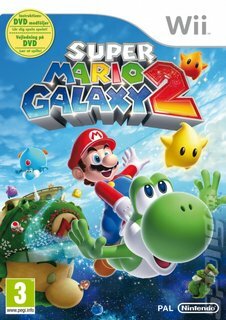 Super Mario Galaxy was a fantastic platforming experience, sending our plucky plumber into space collecting Stars and colourful Star Bits in order to get back to the Mushroom Kingdom. 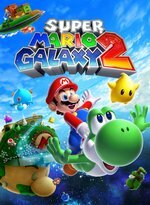 Of course, we were left wanting more, and Super Mario Galaxy 2 looks set to satisfy our celestial tastebuds and then some. Ramping the difficulty curve a little bit for experienced planet-hoppers, Galaxy 2 offers several new tweaks to the formula that will make this feel like more than just an expansion release. 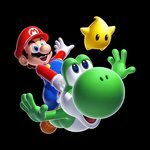 Top of the list is Yoshi, Mario's dinosaur pal, who can be used to travel quickly and flutter jump across various parts of the cosmic scenery. Eating various fruit will make Yoshi change colour and offer a new ability. Blue fruit will make him float up into the air, while red chillis will make Yoshi run at a breakneck pace. You're going to need these transformations and abilities to survive the mind-twisting designs of each stage. On top of this, there are two new suits for the hero to don; Cloud Mario and Rock Mario. The cloud suit lets you create up to three floating platforms for you to cross chasms with, while the Rock suit allows players to roll around hills and crash into enemies and obstacles to reveal new paths. Even the co-operative multiplayer mode has been enhanced  a friend will appear as a Luma character that can hold enemies and perform the Mario Spin to freeze and knock them out. You can also collect coins on the Mario player's behalf so you really can double-team Bowser!